I've been asked to expound on the Oil Cleansing Method and to share my beauty regimen, and before I start, I have to clarify, I am in no way a beauty expert. But what I can tell you is that I am obsessed with skin care. I was brought up that way. My mom doesn't wear make-up but she believes in skin care (she uses Olay, my dad, the military man, tells me to use Ponds cold cream at night, so cute! ), so it never occurred to me to wear make-up until I started working (and when I mean make-up, I mean "barely there make-up"). Besides, as my mom argues, what is make up for when you have clean, healthy skin to start with? I am maniacal when it comes to skin care not only because of my mom, but also because for a year, I had super BAD skin. I had spot free skin (save for the occasional solitary teeny tiny pimple) in my teens, but then again, I'm a late bloomer, so when I was about 22-23, my skin got real bad. As in terrible I tell you. I had zits all over my face, and little bumps on my forehead. My mom says it was my unhealthy diet during my college years that did me in (she says it was because of McDonald's and Jollibee, which she abhors hahaha!). It was so bad I stayed away from mirrors and never wanted my picture taken, ever! So yeah, that time in my life - undocumented! I didn't want any proof that I looked like that, hahaha! I know, how vain. So anyway, one of my best friends, Nina, who was going through the same hormonal thing as I was, discovered our dermatologist, Dr. Selwyn Crisostomo and thanks to her and her potions, we got our skin back, hahaha! After that harrowing experience of going through life with yucky skin, I vowed never to take my skin for granted ever! I guess that puts me in a believable position to dole out skin advice, or at least, I can vouch for the methods I've tried. Now, onto the first subject of this post, the Oil Cleansing Method. 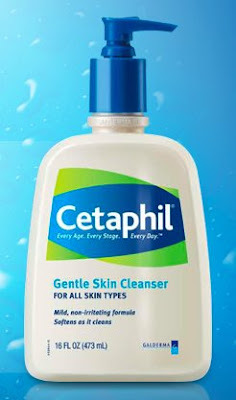 My SIL Lorr, is always on the lookout for the latest skin craze, and it was through her that I discovered the Oil Cleansing Method (OCM) some years back. I guarantee that this is a safe and natural way to cleanse skin, and this coming from me - I have super sensitive, combination skin, and unlike some girls who can get away with cleansing their face with regular soap and water, I have to be careful with the products I put on my face. So if there's no adverse reaction on me, I think it will be safe to say, it is safe for most skin types. NOTE: OCM is typically done in the evening, before going to bed. There is no need to clean or wash face prior to doing OCM, as it is actually a great way to remove make-up. OCM is meant to deep clean skin, while balancing oil production, so you don't need to do OCM the following morning. 1. Pour the oil into your palm. Rub your hands together to warm the oil and smooth it over your face. 3. Once you feel your pores are clean enough, pick up your washcloth and soak it in hot water. The water must be warm enough to open pores and remove the oil. 4. Cover your face with the warm washcloth, and let it stay until it cools. 5. Wipe the oil away and rinse the washcloth well in hot, running water. Repeat steps 4 & 5 for at least 2 more times. You'll notice that after you cleanse the oil off, your skin will feel a bit tight, as if you've used toner! It's amazing! If you find the "tightness" uncomfortable, rub a drop of the oil blend between your damp palms and pat it onto your skin and massage. For more information about the Oil Cleansing Method, read here and here! Now, about my beauty regimen. Basically, I drink a lot of water, which I did not do a lot of until I asked a guy classmate of mine from grad school how he got his super smooth skin (As in he had poreless skin, and his nose didn't have a speck of blackhead, at all) and what his beauty secret was. He told me with no qualms, "My beauty secret? I drink 2 liters of water a day, at least!". Ok, that was enough to get me convinced! ...and moisturize with Creme de la Mer twice a day - once in the morning and again at bed time. 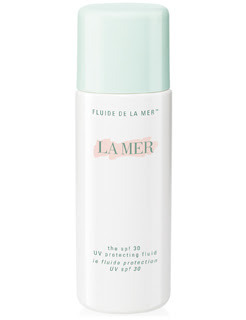 An extra step in the AM is slathering on La Mer SPF 30 UV Protecting Fluid whether or not I step out of the house, because since we moved here, the brown specks on my face just started multiplying so I had to start wearing sunblock religiously. 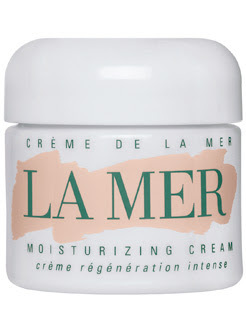 I used to use Shiseido SPF 55 for my face, and while I love the non-greasy feel, La Mer's sunblock feels lighter on the skin, as it is has a more liquid-y consistency. I only started using La Mer when I got pregnant with Berry because my skin got really dry and flakey during pregnancy. For the longest time, I used SK-II Skin Treatment Clear Lotion and the Facial Treatment Essence and while I love SK-II (it worked wonders on my skin too), it just didn't do when my skin got really dry. I had to make a switch to a more moisturizing product. 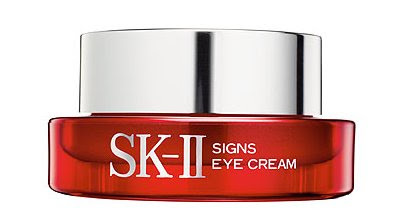 Btw, I still use SK-II Signs Eye Cream, but I haven't really been sleeping well the last couple of months - heartburn during pregnancy and well, taking care of Berry pretty much guarantees eyebags, so I can't say if the eye cream does its job, haha! So yeah, that's it! The OCM + my beauty regimen, I hope this helps somehow! Back in Manila, I did facials with my derma at least once a month. For a time, I also did diamond peels. The effect on my skin was amazing! Barely there pores! But that could be psychological because since the move here, I haven't had a facial or a peel, but with La Mer, my skin looks just as good! 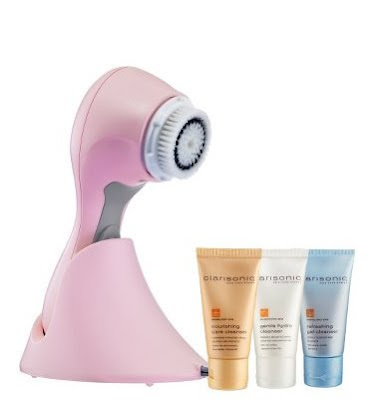 Supposedly, with regular daily use, "Clarisonic reduces dry skin patches, oily areas and blemishes leaving skin feeling and looking smoother". It also comes highly recommended by dermatologists, but at $195 for a brush, I might just stick to OCM to deep clean my skin! But, well you know me, I have my weak moments so in the event that I feel generous and decide to spring for a Clarisonic brush, I'll let you in on how it works! Hi, just have to leave questions about products that you need to examine and carefully choose which one will work out fine. First of all not everybody have the same skin type and tone. Granting that we all have sensitive skin, how do you choose the right one for you? I know it's risky to think about trial and error method but then what advice will you give to those who want to start the regimen? Some brands are really pricey/high maintenance. What do you think how do we start choosing which one is right? I am going to try this. Thanks for sharing! can i post the part on the OCM in kikay exchange? Thanks so much for sharing this.. I did more research after reading about OCM first from your blog. You got me into it. So far, it's the best skin care routine for me. I mixed Castor oil, EVOO, Jojoba oil & Tea tree oil. I'm 27 and I share the same regret of not taking wearing sunblock when I was younger. Like your mom, I am a loyal Olay user and I do get compliments for my skin. 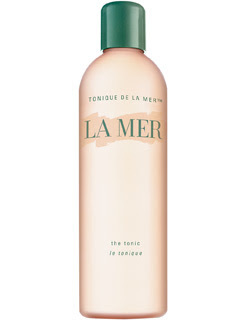 Anyway, I have been feeling the need to use a toner lately but I think La Mer is really pricey! Do you know of cheaper alternatives? Something available in Japan would be great :) Thanks! Sure Jill! Have you tried it na?! You're welcome Belle! Glad you tried it! Told ya it works, heehee! Oooh Ann! That sounds wonderful! Jojoba and tea tree oil! Maybe I should try it with those blended in too! Thanks! Hi Takejiro! Try Kanebo/Kracie, which is readily available in Japanese grocery stores! I've tried it and I'm quite pleased with it too! hi! where can i contact you privately? :) thanks!! you can email me at gee_leeshen@yahoo.com. hi tin! tried the OCM - been doing it for 2 days, so far so good! instead of olive oil though, im using VCO. This method really leaves my skin squeaky clean, no residue - which is super surprising considering that i slather oil on my face haha! Yes, the OCM does sound incredible, and for many people it works wonders. I tried it at first a few months ago, and for three weeks it worked so great I stashed away all my makeup after four years of typical spotty teenage skin. However after three weeks I suddenly woke up in the morning with a face that looked as if someone had poured boiling water on it. My forehead could be used to grate cheese and I was afraid to wash my face or my hair as I would have to feel my hopelessly bumpy skin. This was, what, two months ago? The condition has improved but it is still horrible, and I feel ashamed to go outside. My parents have urged me to see a doctor, since it's obviously not regular hormonal acne. They're small, infectuous and appear along the temples and jaws; for four years I have only suffered the occasional spot in the forehead or on the nose, having combination skin. I've tried to very carefully use OCM to restore my skin, and it has had little effect. In fact, the most effect I've had has been from regular disinfectant. I might take up OCM again, but with an antiseptic and less moisturizing oil than EVOO, and with a very small part of castor oil, as my skin is extremely sensitive. It bugs me slightly that people glorify this method, after being afraid to show myself to people for months. Hopefully it will go away, but I think this is something people definitely should be aware of. I heard of lemon cleansing and herbal supplement cleansing but never oil cleansing. Very interesting. I dugg it. I love using oil cleansers like DHC cleansing oil, and afterward i follow up with Clarisonic Mia. It's fantastic! I just bought some castor oil, although I'm pretty nervous about trying this out. Don't want nightmarish high school skin all over again. 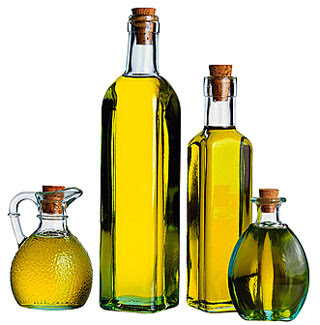 Can you recommend places that sell pure jojoba and tea tree oil? Also... does VCO clog pores? what is the brand of your castor oil? i bought one in mercury drug not sure of what it looked like but i got one with orange flavor. is this the one you also bought? where else can i buy a pure cold pressed?